Anton Yelchin, Giacomo Baessato and Ryan Drescher wear black and optical white high top Converse “Chuck Taylor” All Stars in the film. Jack and his best friend Max have a hard time dealing with the fact that Jack’s father is gay. Jack is set in the year 1982. 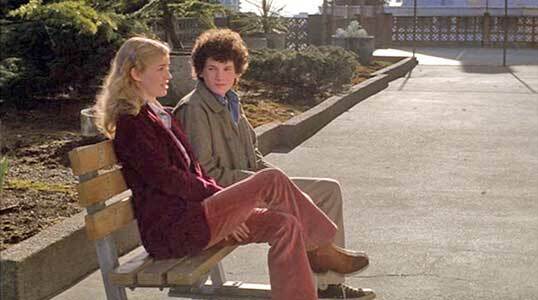 Jack (Anton Yelchin) is a fifteen year old adolescent whose parents Paul (Ron Silver) and Anne (Stockard Channing) are separating. As the film opens, Jack is just finding this out when one Saturday his father takes several garbage bags and starts putting his things in them. We learn that this is really devastating to Jack, who greatly admired his dad, and is now very unsure about him. The story quickly fasts fowards a few weeks, and we see that Anne has a new serious boy friend Michael (Andrew Airlie). Jack’s contact with his dad is mostly limited to Wednesday night dinner engagements with Paul, where they go to fancy restaurants talk about serious things and eat “creepy stuff”. We also meet Jack’s best friend Max Burka (Giacomo Baessato) and his family which includes a younger brother Sammy (Ryan Drescher), his mom Elaine (Wendy Crewson) whom Jack has a secret crush on, and Max’s father Steve (Erich Anderson). Jack considers the Burkas to be the perfect family. Throughout the opening scenes, and the film, Jack provides us with an ongoing narration that expresses his feelings and commentary about what is going on in his life. Things get very serious for Jack when on a canoe ride one Saturday, Paul admits to Jack that he is gay, and is in a committed relationship with Bob (Paul McGillion). This is so upsetting to Jack, that he dives out of the canoe and swims to shore to get away. At this point Jack wants to disown his father, describing him as a “stranger I don’t know”, and tells Anne that he doesn’t want to see Paul any more. Jack and Max try to figure out ways for Jack to be normal again. Jack’s main worry, that he later expresses to Anne, is that he may be a secret homosexual too, although he doesn’t have any feelings in that direction, and is an athlete on the high school basketball team. Although Paul would constantly call the house, or even drive over and just sit in the car hoping that Jack would at least talk to him, Jack at this point has cut him off from his life. Eventually Jack agrees to go bowling with Paul as a group event, when Paul tells him that he can bring his friend Max, and that he will introduce him to Maggie Rogers, (a girl from Jack’s school who he has a crush on). It turns out that Maggie has a father who is gay also. The bowling evening turns out to be a seminal event. Maggie’s father comes with his boy friend and Paul is there with Bob. After their game, the kids and four guys are eating in the bowling alley restaurant, when Maggie’s father and his friend kiss in public. This freaks out the three teens, especially Max, and word get out on campus due to a couple of slips of the tongue by Max. A few days later Jack goes to his locker at school and someone has written “fagbaby” in marking pen on it. Then a letter circulates around the school offering a reward to anyone identifying the “basketball player and beautiful girl” who were at the bowling alley. Maggie is furious with Jack and Max for the embarassment this has caused her. Jack finds real comfort in his friendship with Maggie, who has a similar family situation. Now that the news has gotten around campus, Jack’s world seems to have fallen apart, and Jack is so upset he feigns illness and calls up Anne to take him home. But just as he seems to have reached the bottom, Maggie comes to the rescue. She comes over to his house to appologize, and soon the two are friends again and start dating. Slowly things start to come around for Jack, but he is still pretty hostile to Paul and especially rude to Bob. Then things start to change when Jack seriously sprains his ankle at a basketball game. Being injured and out of circulation for a while changes things. Jack begins to realize who is important in his life, and he is thrilled when Maggie comes to visit him and gives him a kiss. Later the two go on a first date, and start to talk about their situations. There are a number of additional situations, discussion, and events that occur which help Jack to define what is important in life, and these things are what make up the balance of the film. 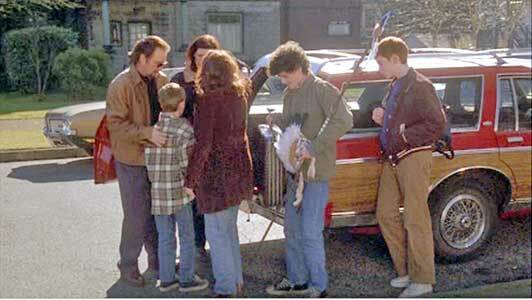 Eveyone gathers around Max’s mother Elaine, when a moment of crisis literally hits her. The screenplay for Jack is the work of A.M. Homes, a writer who specializes in writing about life in suburbia. Homes is good at exploring the inside of what appears to be a perfect world -- affluent families with good looking and well spoken family members, living in spacious houses or apartments with views, who drive Volvos -- and finding the turmoil and conflict within it. Although there is greater understanding in our society today about divorced parents and people who come out and admit their homosexuality, many of the reactions that you see in this screenplay set in 1982 are true in today’s society. Young teenagers are especially insecure in their feelings, and any time a pillar of their existence changes or disappears, it is a normal reaction for them to be very upset and react the way that Jack does with his father. The continuous commentary provided by Jack’s voice overs as he provides an adolescent perspective to the events occuring in his life does a lot to confirm this. In some ways, Jack is more of a live novel than a film; there is a lot of talking on screen when you combine the narration with the many scenes that revolve around discussion. There are good and heartfelt performances from Stockard Channing and Ron Silver as Jack’s parents. Giacomo Baessato and Brittney Irvin could have been just sidekicks, but as the story line progresses we begin to see them exhibit some real dimension and personality in their performances. But the movie works because of Anton Yelchin who brings an unusual combination of awkwardness, intelligence, and wit to the title role. Just when you think you have him pegged as an introverted but chatty personality, he then goes outside it, like when he dives into the lake rather than spend one more moment with his father, or dresses up as an Indian chief to try and cheer up the Burkas during a family crisis. Jack might not be a film for everyone, but it is a good vehicle to generate conversation about the realities of life and the acceptance of others. 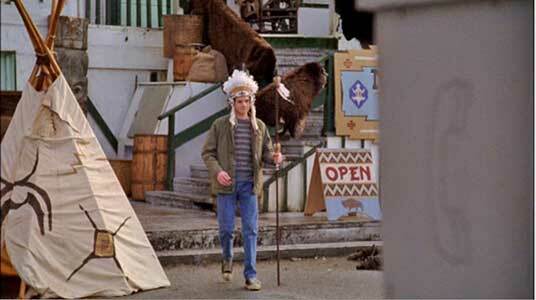 Jack puts on an Indian headress to try and cheer everyone up. 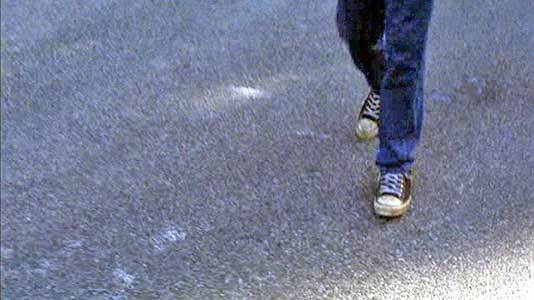 The camera often focuses on Jack’s chucks. 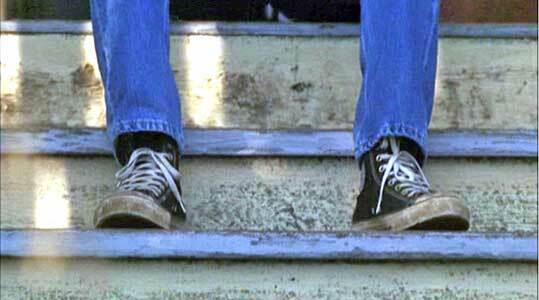 Anton Yelchin in the title role wears black high top chucks, Giacomo Baessato in his role as Jack’s best friend Max wears optical white high tops, and Max’s younger brother Sammy (Ryan Drescher) wears black low cut chucks throughout the film. 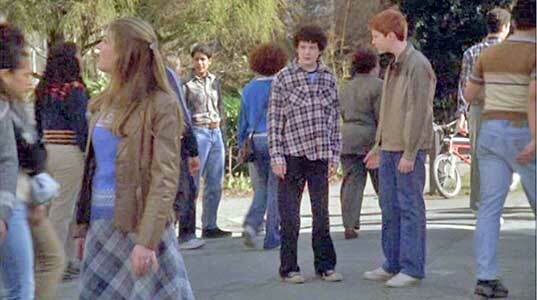 There is good chucks cinemaphotography throughout the film, especially in the scenes where the boys appear together. There are a number of closeup shots during the film of Jack sitting on stair cases, walking down paths, or stepping through hallways. In some of these shots, Max and Sammy are also present. Jack walks down the road in his wet chucks and clothes after diving out of his father’s row boat. Jack. (2003) Anton Yelchin, Stockard Channing, Ron Silver, Giacomo Baessato, Brent Spiner, Andrew Airlie, Brittney Irvin, Ryan Drescher. Directed by Lee Rose. Categories: Drama, Coming of Age, Teenagers.